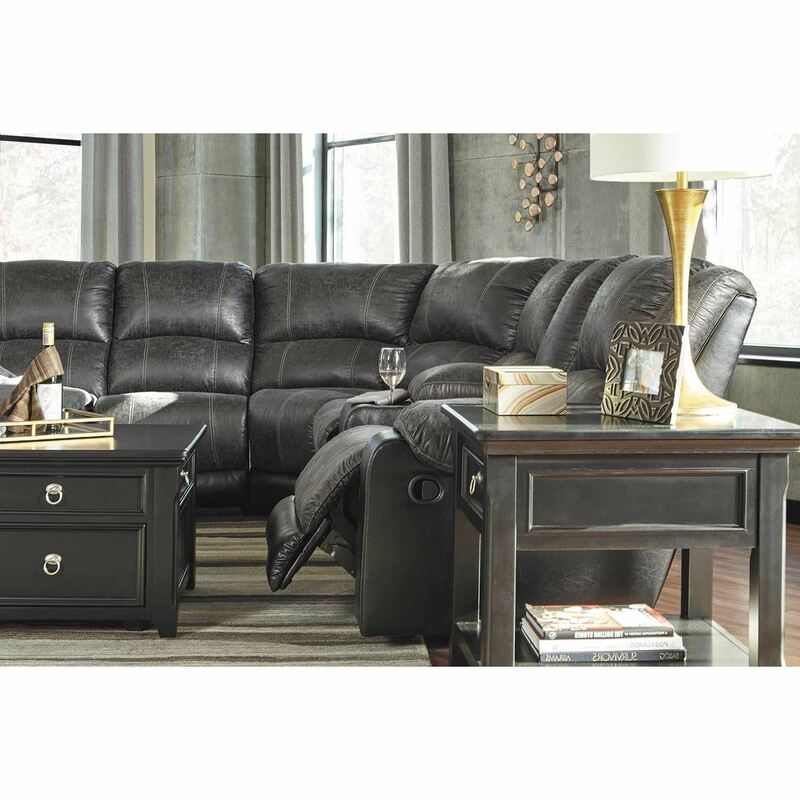 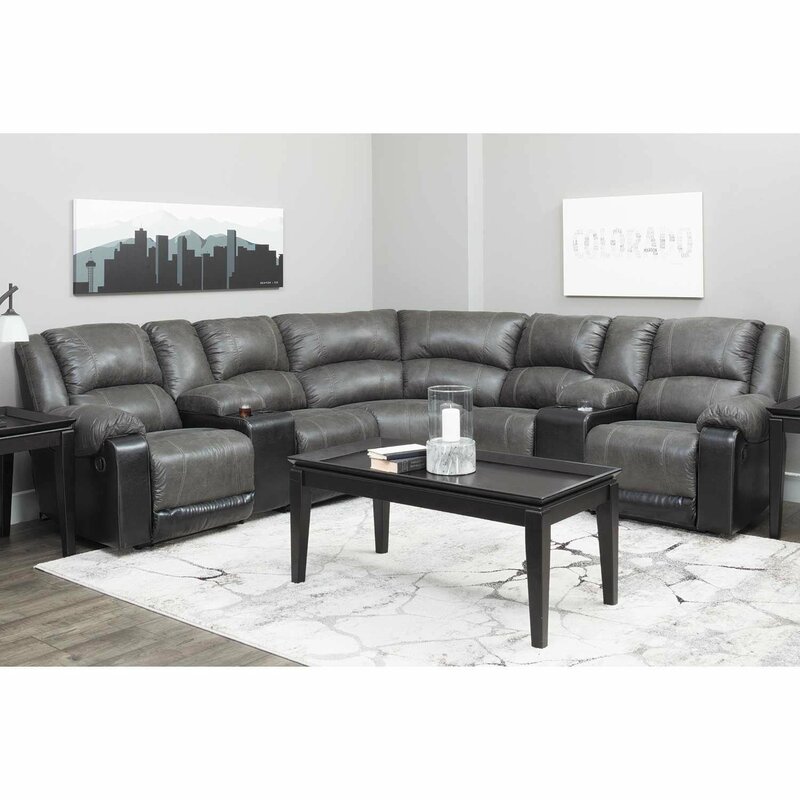 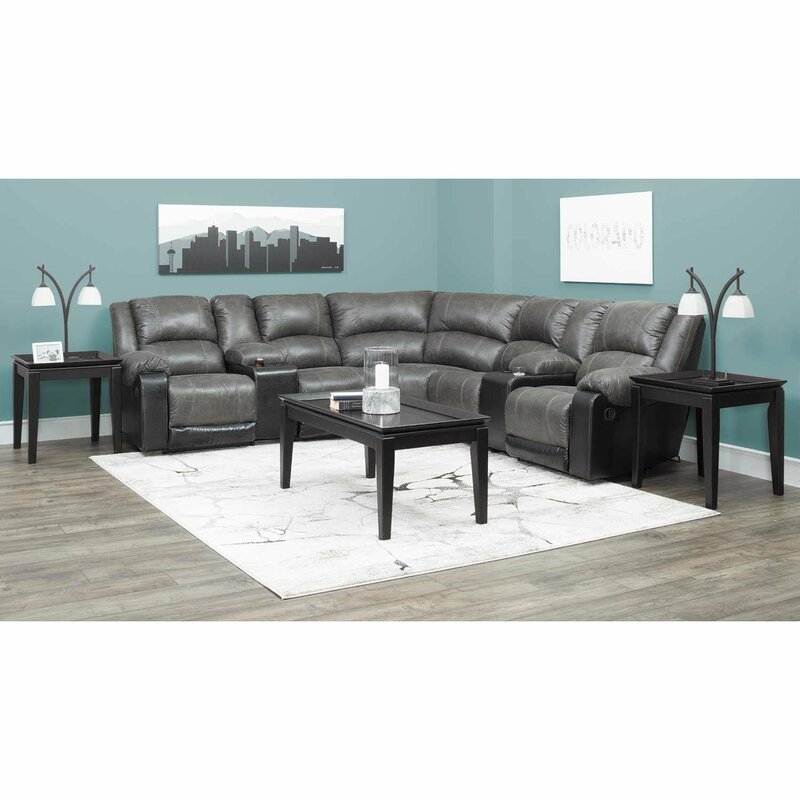 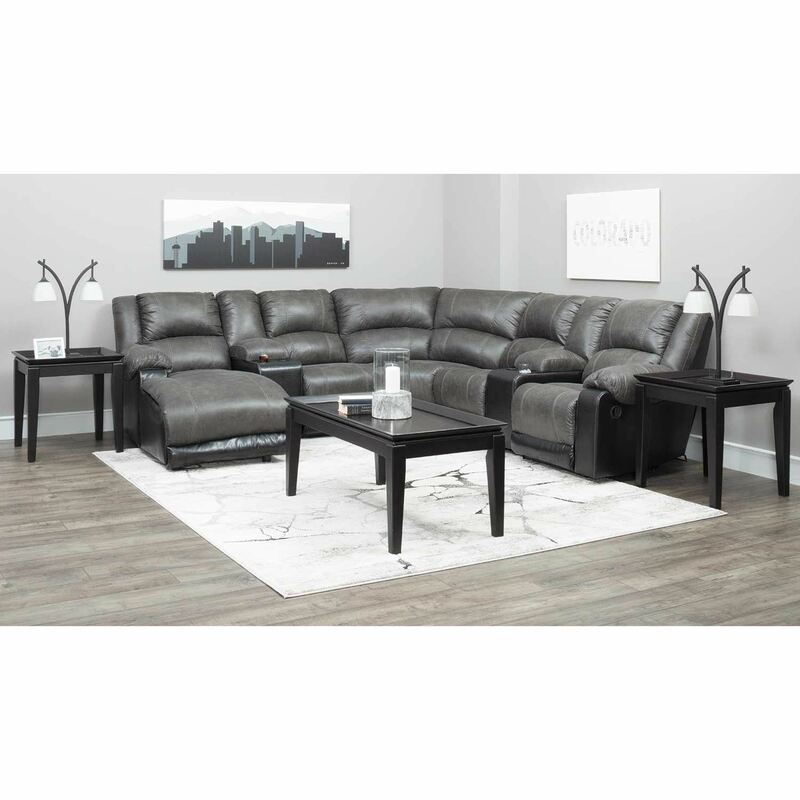 Nantahala Slate 2tone 7 Piece Reclining Sectional from Signature Design by Ashley Furniture. 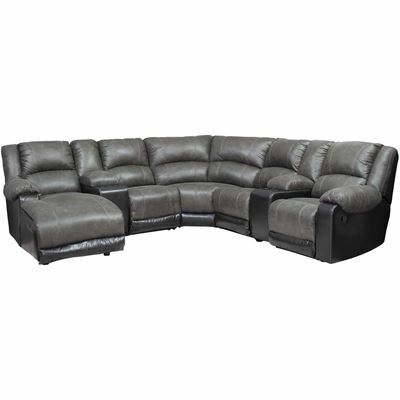 Includes RAF recliner, 2 storage consoles, armless recliner, wedge, armless chair, and LAF recliner. 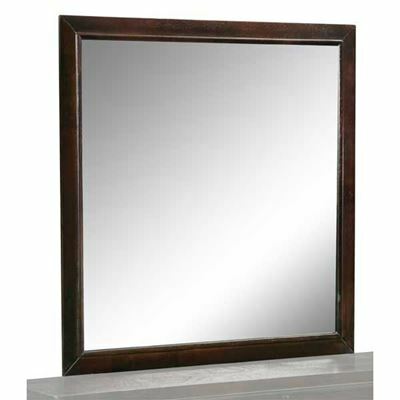 Frames are constructed of hardwoods, plywoods and engineered wood (OSB) with metal drop-in unitized seat box. 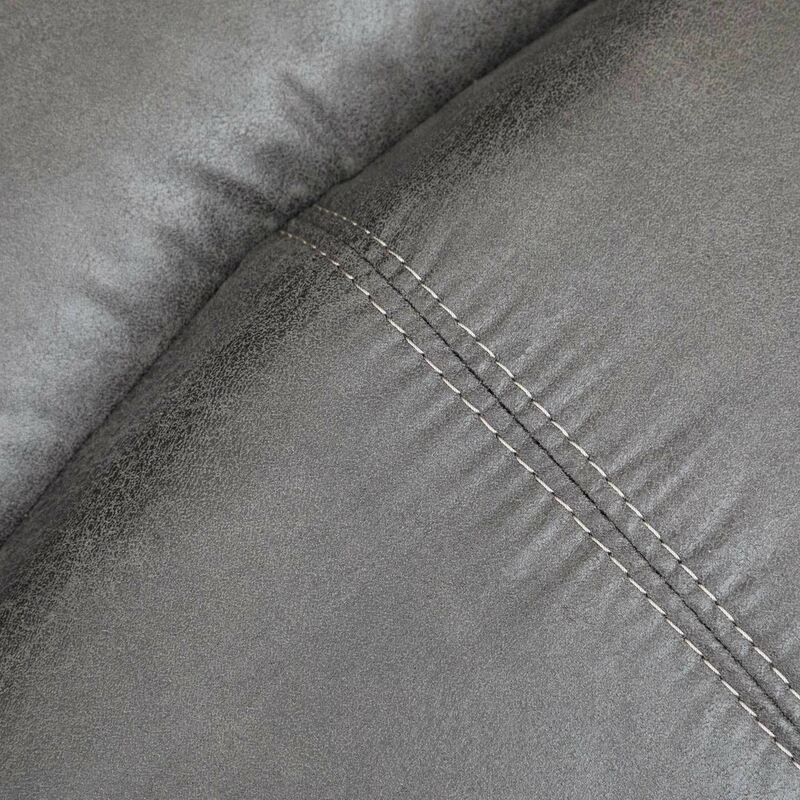 Covered in a Slate colored polyester fabric and black durahide. 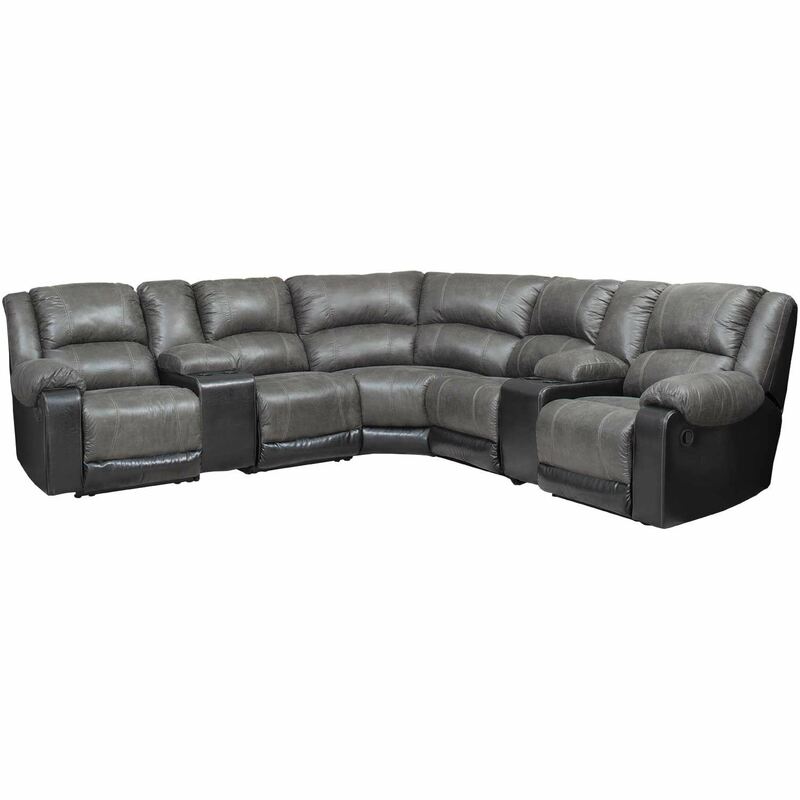 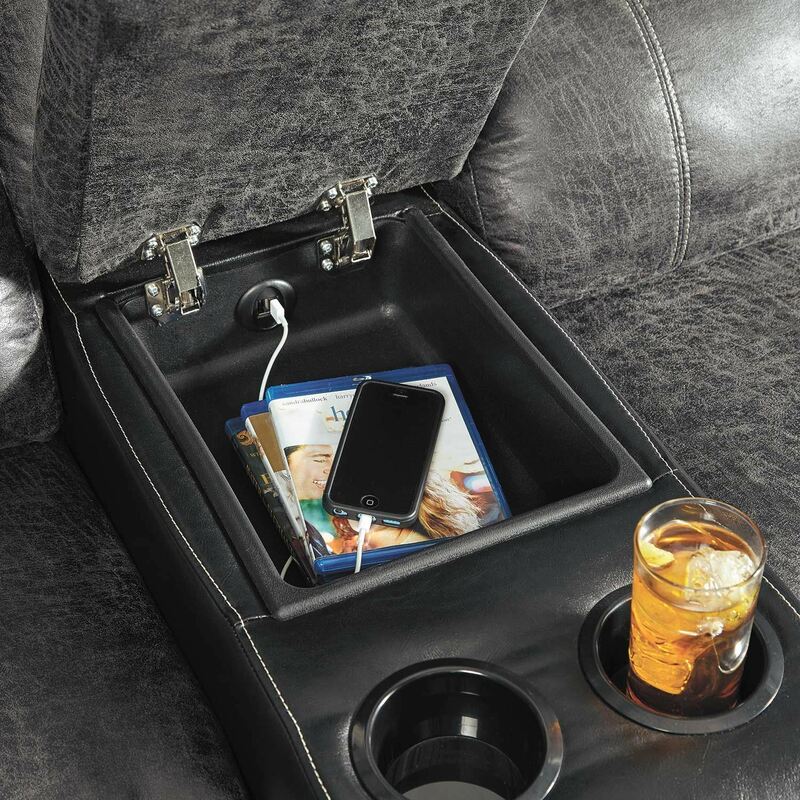 Reclining mechanism offers infinite comfort possibilities.